I have been a vegetarian for about 25 years and I'm always looking for new ways to change my weekly meal plans so I have a good varied diet. I spotted a competition with Betta Living for National Vegetarian Week which is from the 19th to 25th May to create a vegetarian dish and thought this was a good opportunity to try to make something new. 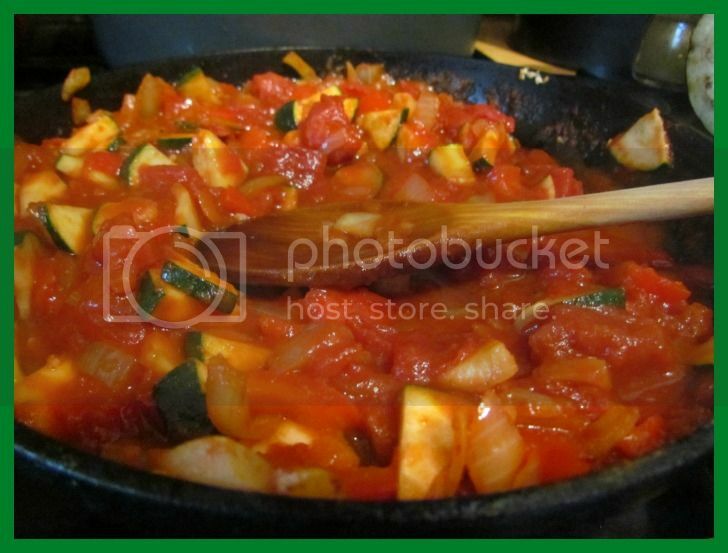 Heat the vegetable oil in a frying pan and add the chopped onions and the tomato puree. Stir well to coat the onions and fry gently for a couple of minutes. 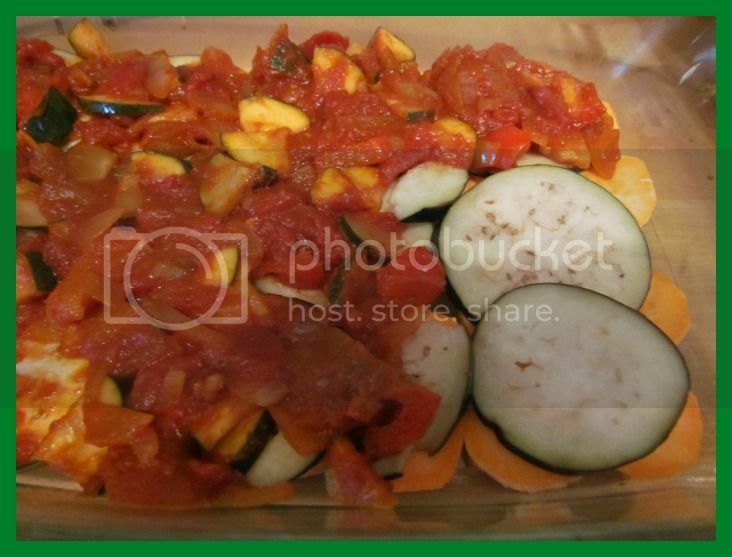 Add the crushed garlic and chopped red pepper and courgette, frying for about 5 minutes on a low heat until soft. Add the tinned tomatoes, lemon juice, cumin and paprika. Simmer for 15-20 minutes to thicken the sauce. Season to taste. 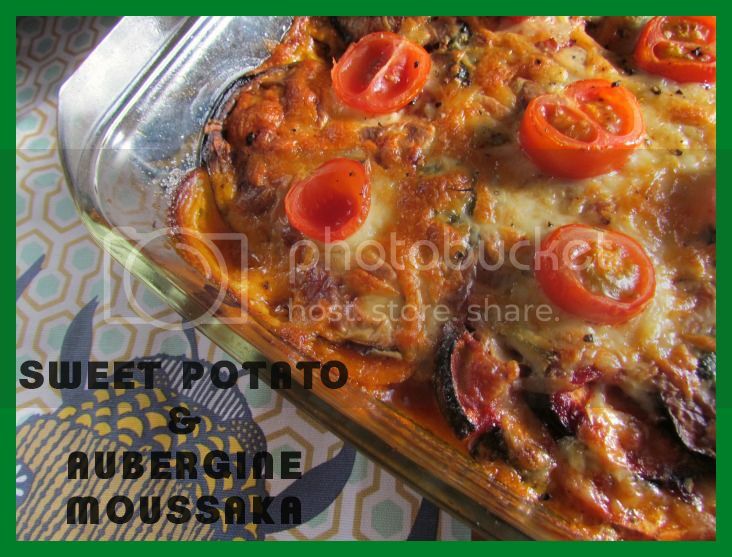 In an oven proof dish arrange the layers of sweet potato rounds, followed by a layer of aubergine and then spoon half of the tomato filling onto it. Repeat the layers again. To make the white sauce, melt the butter in a saucepan and then add the plain flour. It will quickly combine and become a paste. Add a quarter of the milk and whisk to create a smooth mixture. 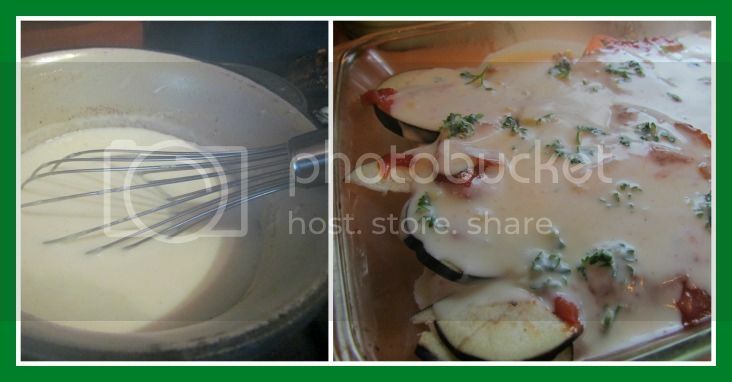 As the sauce thickens gradually add the rest of the milk and add the mascarpone cheese. 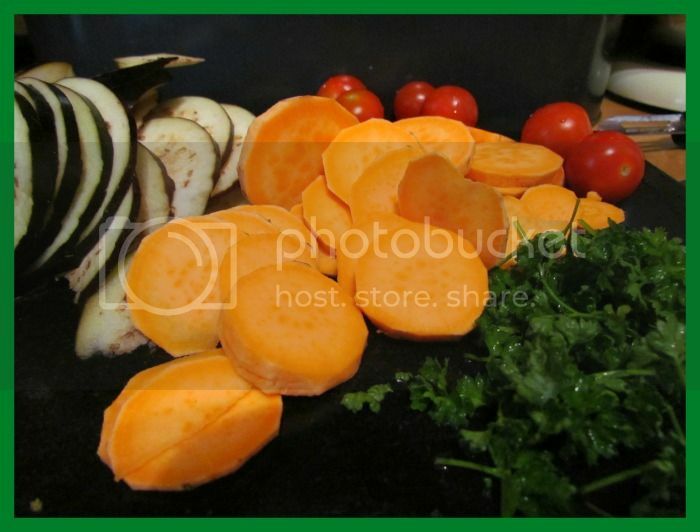 Stir well and simmer on a low heat before adding the chopped parsley. Add a pinch of nutmeg and seasoning. Sprinkle on the grated cheese and garnish with the chopped cherry tomatoes. Place in the oven for about 45 minutes until the topping is golden. I put it under the grill to make it extra crispy. Serve with some fresh salad. This is my entry into the Betta Living Vegetarian Recipe competition. 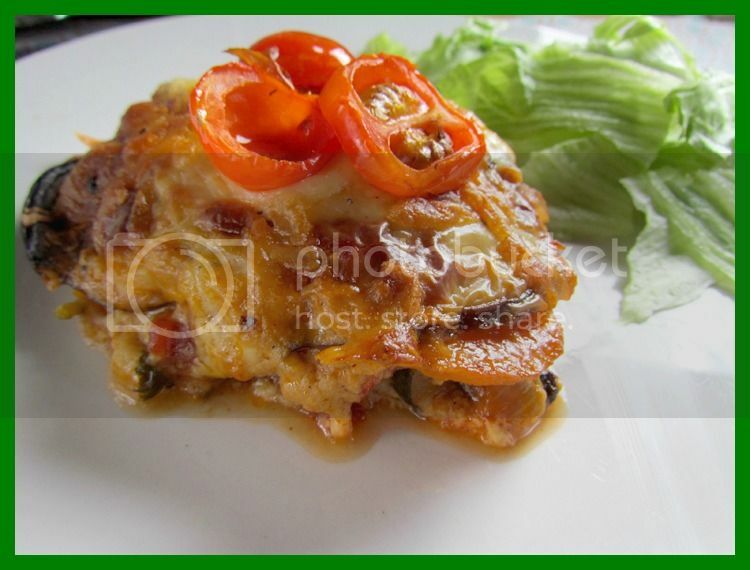 Superdelicious recipe and fabulous photos! Cheers!